Try this tiny parfait on for size. Our whimsical video shows you how to serve up this tasty dessert in an entirely fun, new way. Pour caramel sauce into sundae cup. 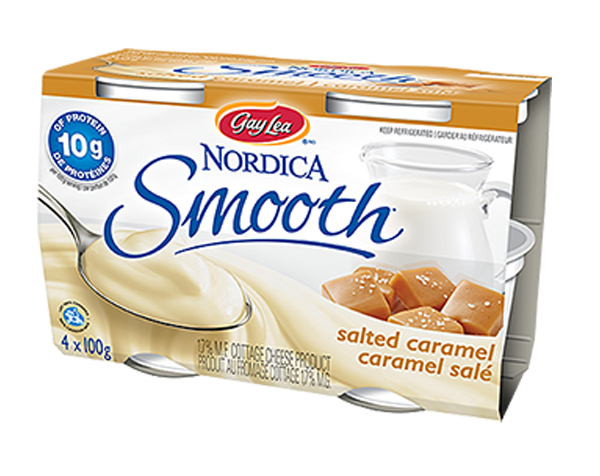 Place two tiny spoons of Nordica Smooth Salted Caramel in sundae cup. Add crushed chocolate wafer cookie/add small sliced chocolate brownie pieces. Add a drop of caramel sauce to the top. Add chocolate bar shavings on top of sundae dish. - Place a single raspberry segment on top of the sundae with tweezers.